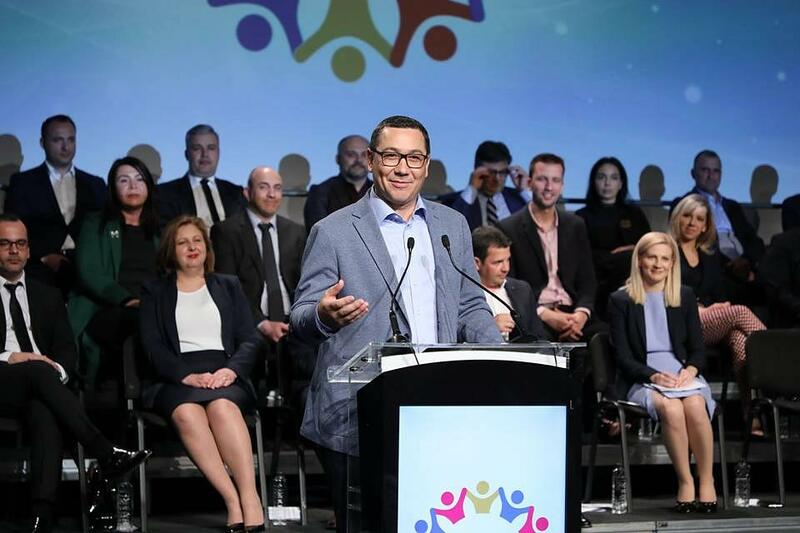 Romania's former prime minister Victor Ponta said in an interview with G4Media.ro that the party he founded is negotiating an affiliation with the Party of European Socialists (PES), but remains open to discussions with the Alliance of Liberals and Democrats in Europe (ALDE) as well. Save Romania Union (USR) is in talks with ALDE as well. Affiliation to ALDE Europe is a backup option, Ponta says, for the case when his party’s attempt to enter PES fails. In the interview with G4Media.ro, Ponta said that PES freezing its relations with Romania’s Social Democratic Party (PSD) is an opportunity for his party Pro Romania, which will strive now to convince the European Social Democrats that it can substitute the party led by Liviu Dragnea (PSD). “PES has been reserved (so far) for strictly pragmatic reasons, in the sense that they have a Social Democrat (in theory, at least) government in Bucharest - and there are very few such governments in Europe - and, on the other hand, because the number of mandates obtained by PSD, 16, is very important for the group,” Ponta explained.